In the years after Milton’s passing, Orville and Katharine continued to maintain active lifestyles from their home at Hawthorn Hill. With family, friends, and guests coming in periodically, there was plenty of activity to keep their housekeeper Carrie Grumbach busy accommodating visitors. Katharine continued to be active in several volunteer and social organizations around Dayton including the Dayon Womens Club. 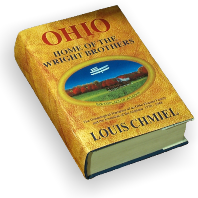 Through those years Orville Wright continued to attend an occasional Ohio State football game with his old Central High School classmate Thomas E. French (see pg.448). In high school when Orville Wright was working in the summers learning the print trade in a Dayton print shop, Thomas French was developing his skills as a draftsman at the Smith-Vail Company in Dayton. After graduation he taught drafting at night at the Dayton YMCA, and in 1891 he enrolled at Ohio State University. Upon graduation from OSU in 1895 French was hired on by the Engineering Department. Over his lifetime on the Ohio State faculty French wrote several major textbooks on engineering drawing, selling in the hundreds of thousands. His textbooks have been used in over 400 universities in the U.S. and around the world. Several are still in print today. In October of 1916 Thomas French invited his former Central High School classmate Orville Wright to a game at old Ohio Field A month later on November 4th the Wisconsin Badgers provided the opposition for the 1916 Homecoming Game. 12,500 spirited fans squeezed their way into 10,000 seat Ohio Field to see Chic Harley score two touchdowns and kick two extra points as Ohio State defeated Wisconsin 14-13. Thomas French saw the overflow crowd for that game as an opportunity and began immediately using it as a springboard to further his vision for a new and much larger stadium at Ohio State. By seasons end the Ohio State Buckeyes were the undefeated champions of the Western Conference and Thomas French’s vision began to take root. When present day Ohio Stadium was opened in 1922 it earned Thomas French the legacy of, “Daddy of Ohio Stadium” around the State of Ohio. And it earned Orville Wright more trips to Columbus for Ohio State football games well into the 1930s. 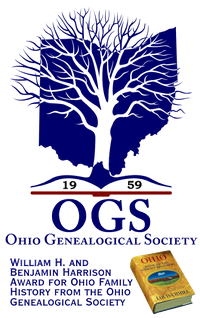 For a more detailed look at the friendship of Orville Wright and Thomas French, from their high school years on, and the Ohio State career of Dr. French, see the attached 5,000 word PDF document, “Central High School Class of 1890” here or download below.